Let’s keep on making pizza! A few days ago I shared with you a very simple recipe to make pizza dough. 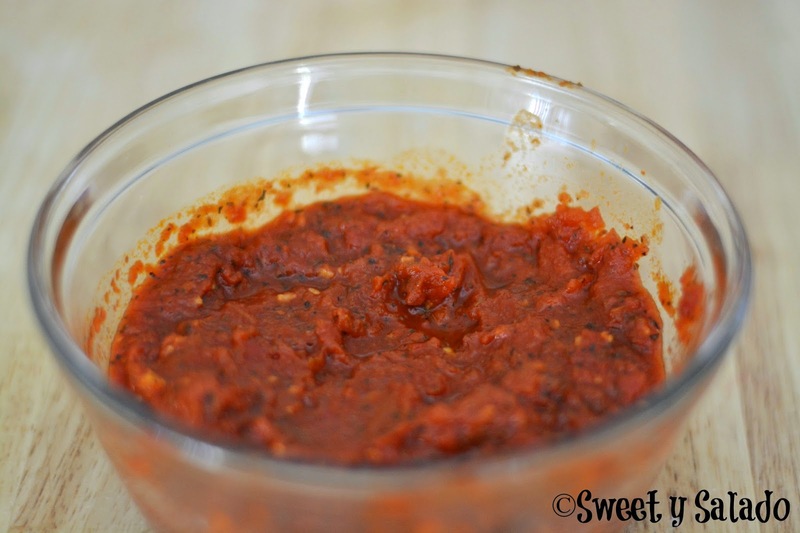 Today, I’m sharing a recipe on how to make pizza sauce that is also really easy. 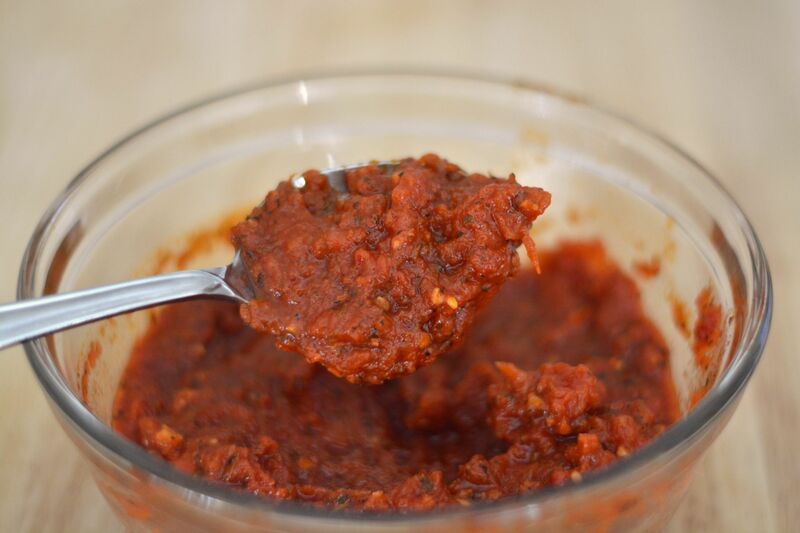 The most important thing to keep in mind when you’re making a good sauce is to season it well because what’s the point of have a great pizza dough and fantastic toppings when you’re using a bland sauce? There’s two types of pizza sauce that I love to use when making a great pizza. One of them is the recipe you’ll find below. 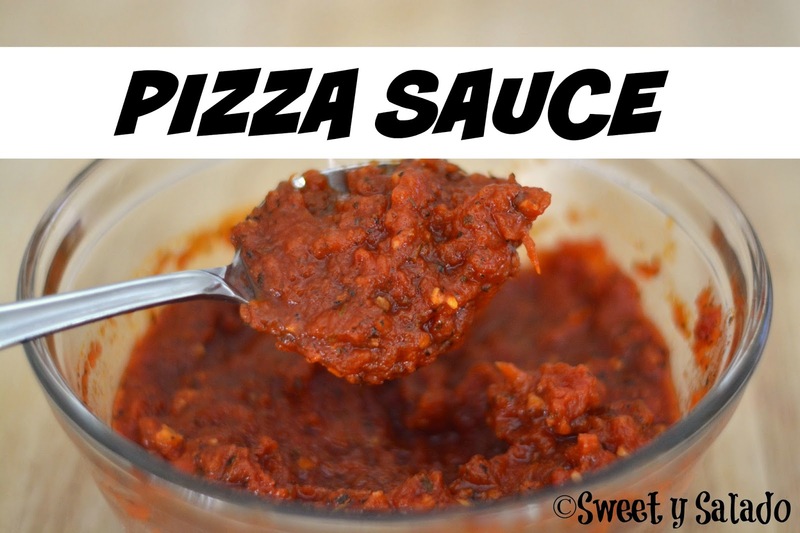 The other is a no cook pizza sauce that I just season and use mainly to make the famous Margherita pizza which is really simple and absolutely delicious. So, keep in mind that it really doesn’t matter the type of sauce you decide to use to make your favorite pizza, just as long as it’s well seasoned so you don’t let yourself and your guests down. Pour the whole tomatoes into a medium bowl and crush them with your hands, potato masher or fork. Set aside. Heat olive oil in a large pan on medium low heat. Add garlic and cook for 1-2 minutes. Add the oregano, basil and onion powder and stir. Now add the crushed tomatoes, sugar and season with salt and pepper. Once it starts boiling, reduce the heat to low and cook for 30-35 minutes. After 30-35 minutes, check for seasoning and let it cool completely before using. You can freeze it for up to 3 months.